Longtime readers know I am a a big fan (okay, huge fan) of the Boston Ballet. I've previously written about their costumes and performances, now I am thrilled to get a chance to write about their dancers! 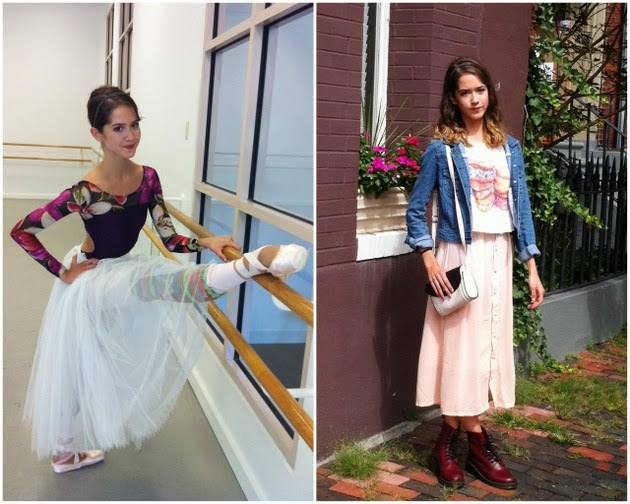 Corps de Ballet dancers Shelby Elsbree and Brittany Stone are two talented and stylish ladies, both on and off duty. 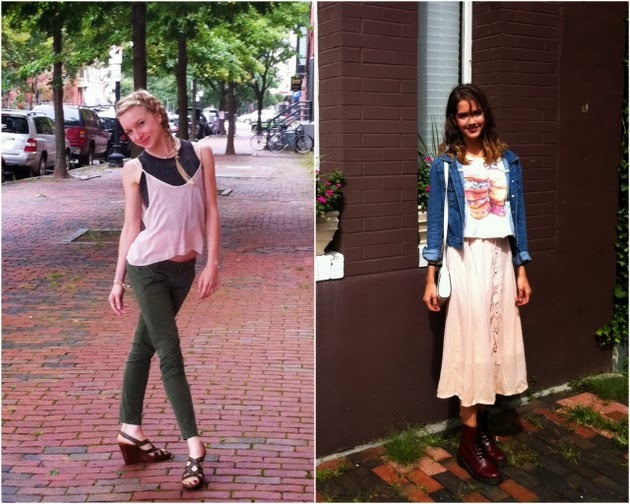 Read their style profiles below, and then go see them perform tonight, for free! 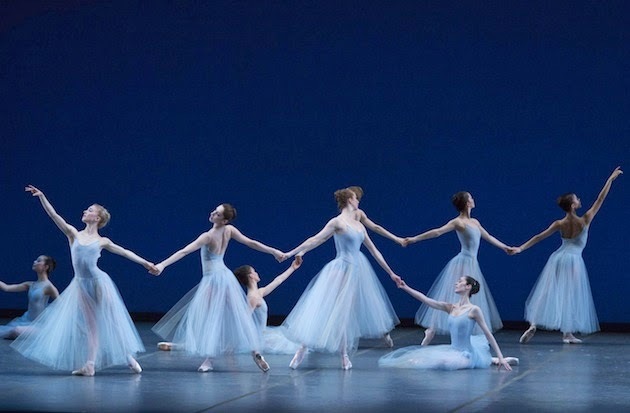 The Boston Ballet is kicking off their 50th anniversary with a free performance at 7:00pm tonight (Saturday, 9/21) featuring the full company and live music on the largest stage ever built on the Boston Common. The program features a wide range of works from classical ballet to contemporary dance - there is definitely something for everyone! Check out the all the details here, and read about Shelby and Brittany below. See you there! 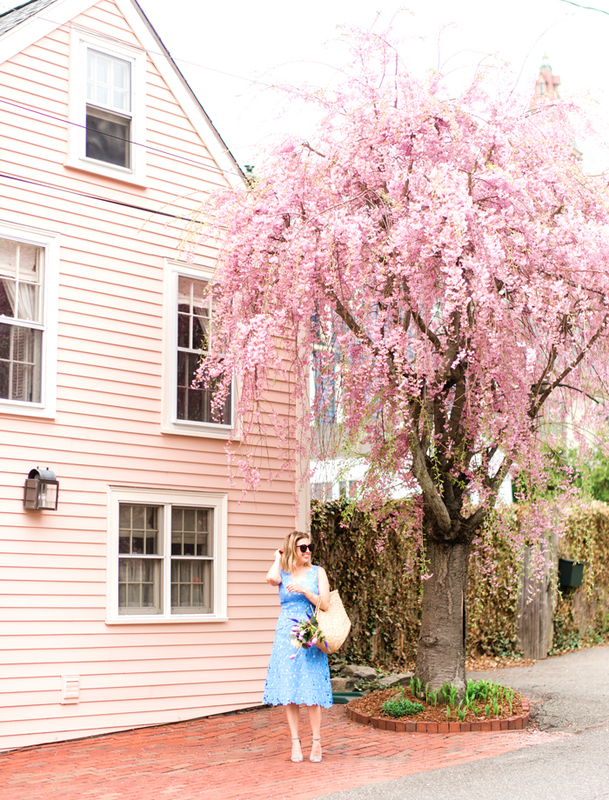 You've lived in New York and Copenhagen, two famously fashionable cities. What about the style in those cities inspired you? Did you learn any style lessons from living there? New York was definitely a diverse gateway into the world of fashion for me, especially coming from Florida...There are so many walks of life in Manhattan and I loved that despite the seasonal trends sprinkled around the city streets, people there - more often than not- remain true to their personal styles. I also loved seeing how specific styles tended to hibernate in different neighborhoods...it seemed that each time I came out of a different subway station, the local wardrobes seemed to compliment the 10 block radius of storefronts and streets. To me, Copenhagen has arguably the most stream-lined, consistent taste of Scandinavian simplicity — reflected not only in the people and the way they dress, but in their homes (furniture/lighting), shops, cafés and restaurants. While less is more and white is welcome, grey and black lay claim to every season of clothing. The style there seems more architectural to me, and slightly less free-willed than what you may find in New York City. Of all the costumes you have worn at the Boston Ballet, which one is your favorite? Why? I have to say that one of my favorite costumes I've worn so far is the romantic, ankle-length blue tutu for George Balanchine's Serenade. It is so simple and elegant, and the way that the toile moves with the steps, it seems to dance on its own... It's probably a combination of the stage lighting, the music and the choreography, but something about that costume makes me feel perfectly ethereal. Many famous fashion designers have also designed ballet costumes (i.e. Christian Lacroix, Issey Miyake (with BB! ), Riccardo Tisci). If you could pick any designer to create costumes for any ballet, which designer and which ballet would it be? Why? I love seeing these fashion designer/dance company collaborations as I feel that most creatives work well to inspire and feed off of each other's passions... The tricky thing is making higher fashion creations that remain functional to be danced in. In my wildest dreams, I think that I might call on Alexander Wang. I've always loved his urban approach and aesthetic for design. While most of these collaborations are commissioned for new works, I can see his work pairing well with the likes of Wayne McGregor or Jiri Kyllian, whose choreography shapes space in ways that Wang's style could help define beautifully. "Night of Stars" is Boston Ballet's first ever Boston Common performance. What makes you most excited about this performance? I think the whole concept of this performance is just beautiful... Sharing our celebratory season with the city in the historic Boston Common - To think of the events that have occurred over the past centuries right there in that park, and now this! I am most excited about dancing Serenade under the stars, given the fact that it was originally choreographed to be performed outside...It's always a joy to perform, but in this particular situation, I can only anticipate it will feel just right. How do you describe your "off duty" style? How does being a dancer influence your personal style? I would describe it as casual. If I don’t feel comfortable in something, I won’t wear it. My most recent addiction has been my maroon Doc Marten boots. My friends make fun of me because I’ve worn them practically every day since I got them. I love jean shorts and long dresses in the summer. In the winter, I can’t live without my oversized “grandma” sweaters. 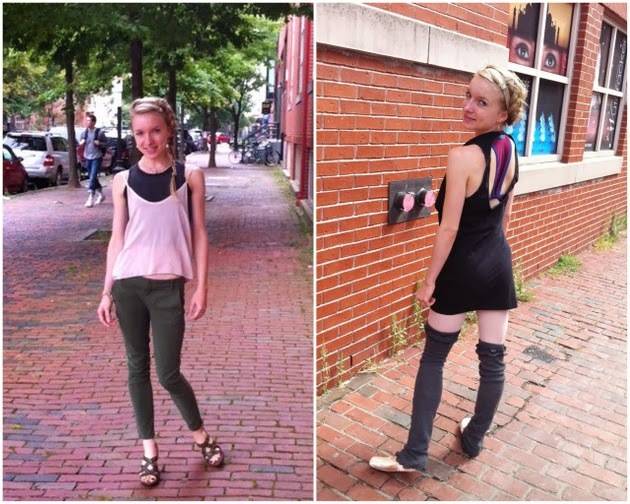 Boston can be a city filled with fashion challenges (changing weather, cobblestone streets, etc...) Is there anything that you struggle with, style-wise? Heels for sure. I can’t wear them on flat ground let alone the uneven streets of Boston! As far as weather goes, I just always make sure to have a sweater or jacket with me! You're a busy woman! How do you stay organized and not freak out over what to wear? I try to do laundry every weekend so I have options to mix and match during the week. The idea itself is revolutionary for Boston Ballet. It’s a great way to kick off the 50th anniversary and to inspire people to come see our exciting season at the opera house. 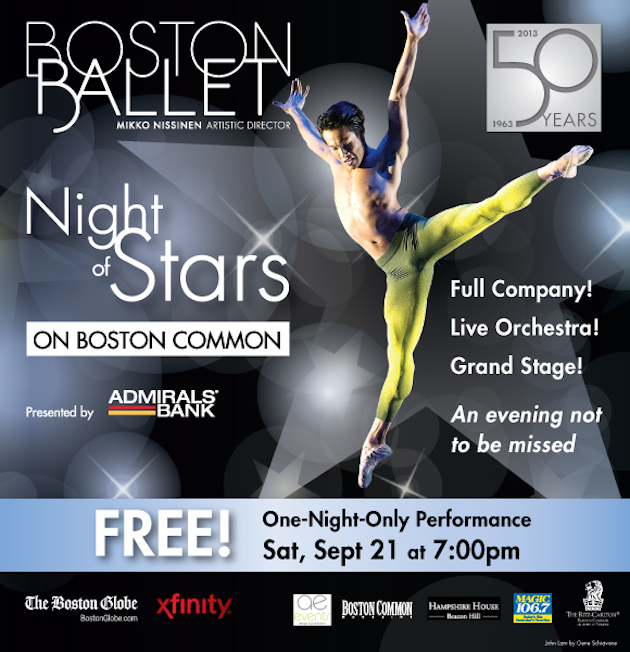 Learn more about Boston Ballet's free Boston Common performance of "Night of Stars" here. Read more about Boston Ballet's fabulous costumes here. Love this post! Confession time: I think part of the reason I love Bar Method so much is because of my secret fantasy of being a ballerina.